1) It’s relatable. We’ve all wondered whether it’s more efficient to mow the lawn in concentric rectangles or in stripes. We’ve all run. We’ve all argued with other people. 2) It allows for immediate estimation. Students will immediately have a conjecture. As I’ve mentioned that Dan has mentioned before, that’s one of the best pound-for-pound ways of getting kids to learn math in new ways. So yeah, bookmark it, give it to your kids tomorrow. I’ll be sprinkling them throughout my curriculum maps very soon. Speaking of a “Would You Rather” approach to math, I was watching a video on Grantland about a High School football coach in Little Rock, Arkansas who never punts and always onside kicks. While statheads have been clamoring for less punting for years, he (and the video produces) articulates the math quite clearly and attainable (a mathematical skill). 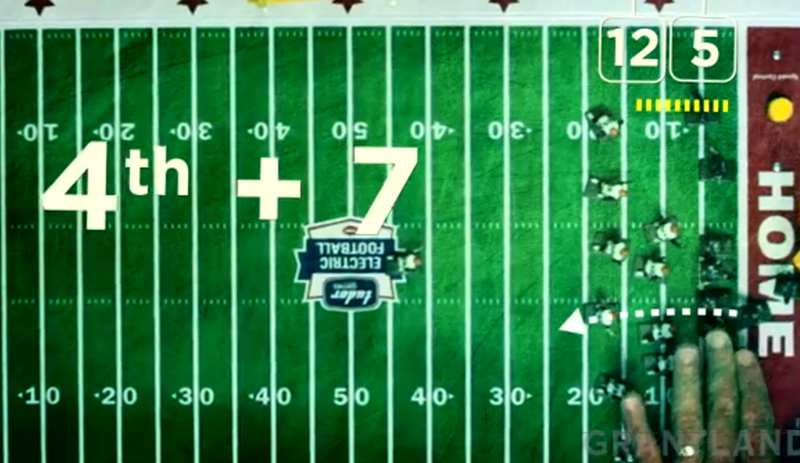 Would you rather go for it on 4th and 7 from your own five yard line (about a 50% success rate)…. punt and give the opponent the ball on the 45 yard line? Here’s where it gets interesting though. By going for it on 4th down that close to his own goal line, the opponent would score 92% of the time. 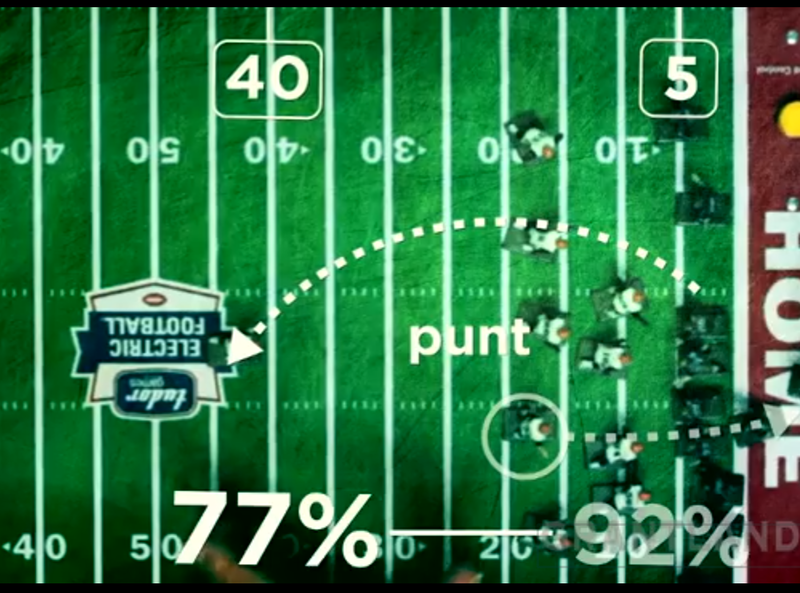 By punting to the 45 yard line, the opponent would score 77% of the time. There you have it. Coach Kevin Kelly played “Would You Rather” Math and used some compound probabilities to determine that they’ll never punt. While there’s more to it (i.e. it’s not a singular event: once you get the first down, you have to get the next first down and so on), just imagine if you could get kids to think mathematically this way under the Friday Night Lights. Coach Kelly uses similar logic regarding always onside kicking. Go check out the full video and full article if you like. 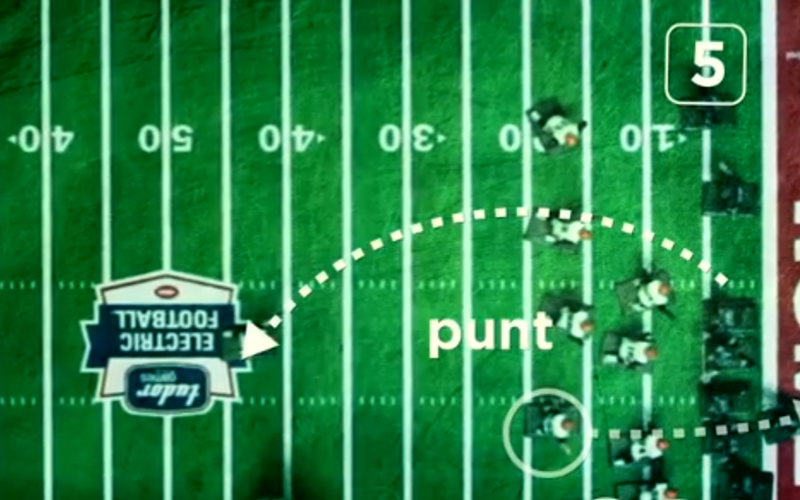 Shoot, try to get your class to convince your schools’ football coach they should never punt. It probably won’t work but it’s worth a shot. Wouldn’t you rather give it a shot? *Thanks to Chris Robinson for helping me track down the author of that quote. Update 11/20/13: Really wonderful interview with Kelly on this weeks’ Slate: Hang Up and Listen podcast. You can also find lots of bunny-trails in their links section to further elucidate the topic of never punting in football.